The workplace can be a dangerous place no matter what industry you work in. Even an office job has various hazards and there are also factors such as fatigue, burnout and stress which can impact your health. Workplace injuries and accidents occur on a regular basis, yet often people do not know how to react because it is always unexpected. It is important that you do know how to react so that you can get the care that you need and stop anyone else from suffering a similar accident or injury. Read on for advice on what to do if you suffer an injury at work. First, you need to check yourself for injuries and then check on anyone else who has been affected. This will help to determine whether or not you or anyone needs urgent medical attention. Your injury should be reported to your employer as soon as possible, and it should be recorded in the accident book. They will then be able to contact HR who will refer you to a practitioner approved by the Worker’s Compensation Board, but you are entitled to see your own doctor if you are covered by the FECA. Even if you have not suffered a severe injury, it is still worth speaking to a doctor as these injuries can get worse over time and it can be helpful to have a health record. Carefully listen to what the doctor has to say regarding recovery and returning to work. If the doctor fails to recognize an injury, they misdiagnose or are generally incompetent, then you could look into making a claim with a company like the-medical-negligence-experts.co.uk. You should receive an official compensation form from your employer or the doctor, and you will need to fill out the “entitled employee” section. Following this, the doctor will either be paid directly or you will be compensated to pay for the medical expenses that you have incurred as a result. Make sure that the paperwork is carefully filled out as many claims are denied because of incomplete/incorrect paperwork. You will then want to determine what the reason was for the accident so that you can file for compensation, hold those responsible accountable and potentially stop the accident from happening again. It can be hard to determine the cause of the accident in some cases so it can be helpful to speak with any witnesses and to take photos of the accident site. This could help you seek compensation for loss of earnings, therapy, etc. Nobody expects to get injured at work, but unfortunately, this can occur no matter what industry you work in. 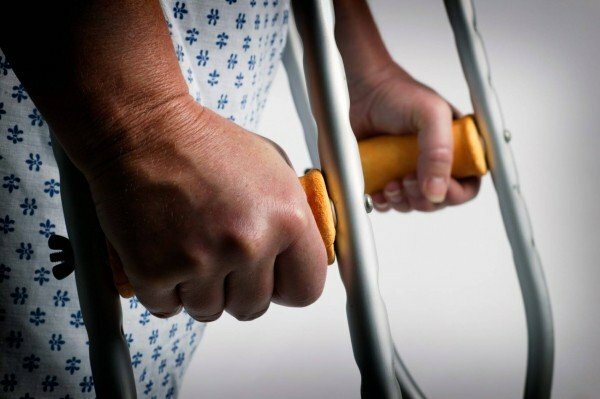 It is important that you know what to do if you are injured at work so that you can quickly get the treatment that you need, but also so that you can follow protocol and get any compensation that you are entitled to.